What is SiteRubix? – The Best Website Builder For Bloggers. Price: $0 Free website, $49 per month (Premium) or $359 per year. I came across SiteRubix by accident when I was looking for a good website builder to build my blog for free. Little did I know that I would get so engrossed into building my blog that I reached a point when I decided to upgrade my site so I bought the domain My Internet Quest. Over 2,400+ templates to choose from! 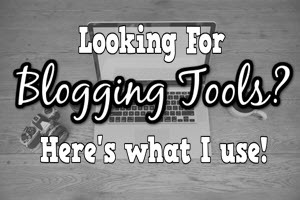 Used by over 800,000 bloggers this year alone (April 2017). It takes roughly a minute to build a site, very easy! Very fast page load speed due to the powerful dedicated web hosting. The best choice for bloggers as content optimization is their priority. Very beginner friendly as you don’t have to learn all the technical stuff. You can create domain emails for free. 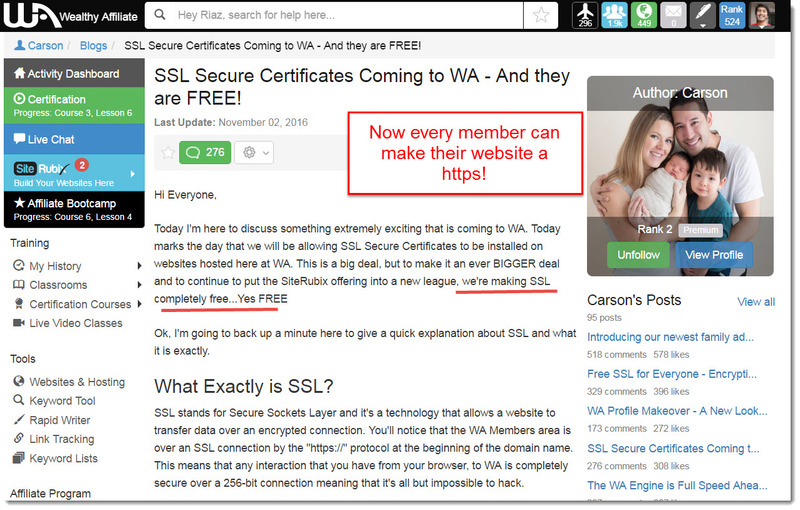 You can upgrade your site to SSL. 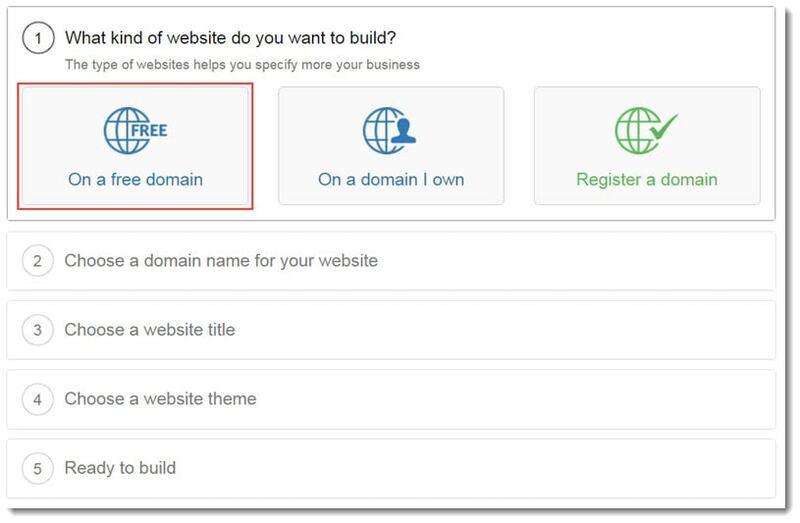 You can build a site for free or you can bring in your own domain. They even have their own domain registrar! 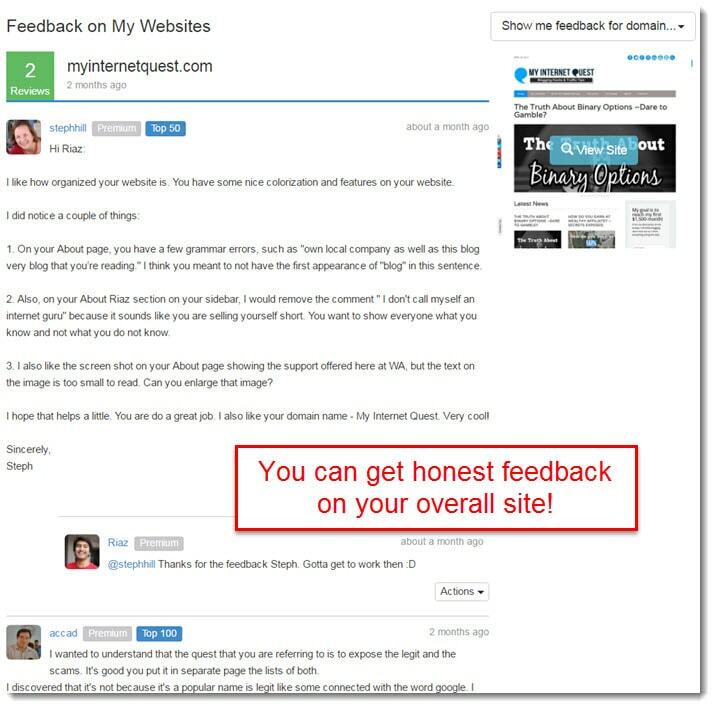 They have a SiteFeedback system where you can get honest opinions from various bloggers on your overall site setup. You can only get 2 free sites. Not suitable for eCommerce as it can be a bit complicated to configure. Gosh, looks like it’s a clear-cut choice! Better check out this SiteRubix thing now! What is SiteRubix? –Revolutionizing the Blogging World One Step at a Time. SiteRubix is a website building platform created by Kyle Loudoun and Carson Lim which are meant especially for bloggers that focus on ranking your website right on Google. 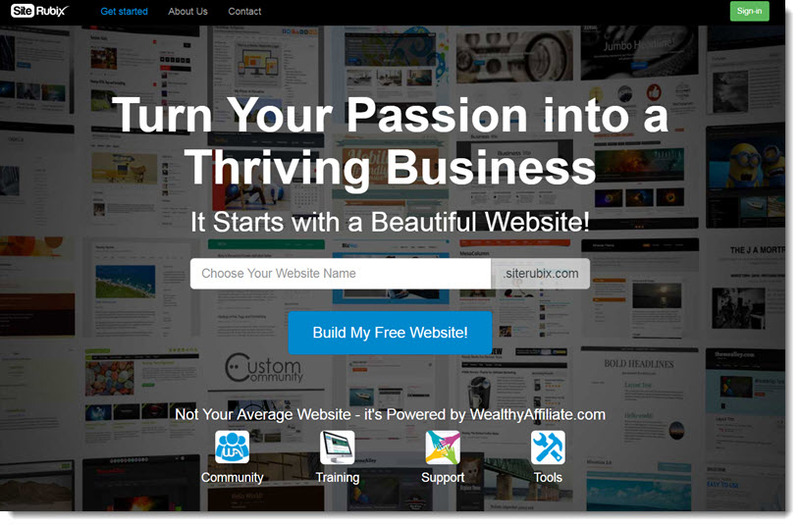 It uses WordPress and is created by an Online Business platform called Wealthy Affiliate which is responsible for the awesome blogging course created inside (I still implement those lessons until today). 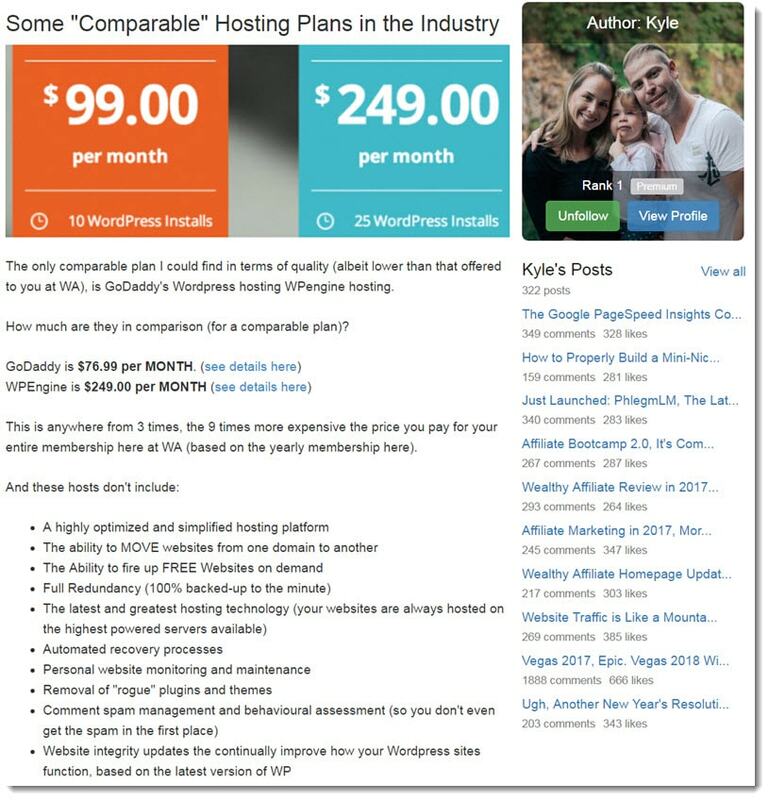 They are so very easy to use because although it’s WordPress, they replaced the confusing CPanel dashboard with their very own beginner-friendly dashboard so you don’t have to install anything – They take care of it for you! The moment you create a website, they’ve installed it ready with everything you need to optimize it so you can straight away jump at content creation and publishing, it takes less than a minute to start! SiteRubix is created so that bloggers can create content-optimized websites which rank easily and they also have access to a blogging course to make sure that they are equipped with the right knowledge on how the SEO world works. They have an amazing blogging community inside and every week, there’s a live training video session so that you can interact and ask questions on the spot. Occasionally, you’ll have your blog looked at during those sessions and you can learn to improve it from there. SiteRubix is definitely going to be the next big thing in the blogging world and they never fail to come up with amazing new features such as the free SSL cert for members. It’s the place for bloggers to build a quality site, rank it to the top of search engines, and succeed in the online world. What Do You Get at SiteRubix? – 13 Features That Are Going to Excite You! There’ a reason why SiteRubix is known as the best website builder for SEO, they are optimized not only to help you build and manage, but to monitor your levels that affect your standings with Google. There’s a difference between normal web hosting and dedicated web hosting. Normal hosting is actually shared hosting which means that the hosting server you use, is cramped with not hundreds, but thousands of other websites too. This is the number one reason as to why your site load speed becomes very slow and is also why SiteRubix decided to give you a dedicated hosting instead. Dedicated hosting means that you get a server entirely for yourself and at SiteRubix, your website will be on par with the other huge established websites that you see on the internet. My site speed went from 3s to 1.97s! Page load is a crucial factor in SEO because for every second that we waste, a web visitor will leave our page looking for a faster one so having a dedicated web host is a clear win for any SEO blogs and websites. SiteRubix is powered by Wealthy Affiliate, which is an Online Business platform which teaches people how to build winning blogs the right way. So when it comes to teaching, you bet that they have simplicity already booked in mind to make your blogging experience much easier! SiteRubix uses a very famous Content Management System called WordPress which they integrate into their system and made it much easier for you to use. You can type away any domain you want and build a website right this instant and it’ll take only about a minute! This is because SiteRubix has eliminated the CPanel backend which means you don’t have to worry about all the headachy stuff – They’ll handle it for you! All the plugins are also installed ready-made so you save time and don’t have to think of what to do to setup – You can literally start writing your content as soon as you finish building your site! Do you think we’ll let you build a website and just leave you alone afterwards? No, we’ll stick with you and make sure you build your site successfully – Introducing the blogging lessons feature! 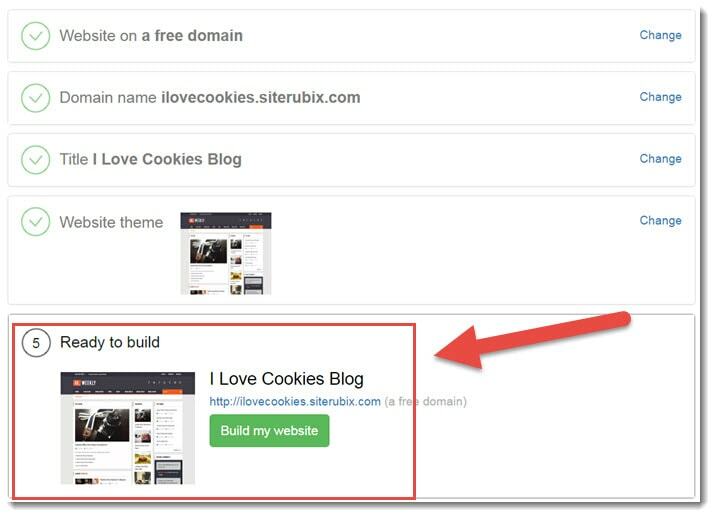 Powered by the Wealthy Affiliate University, SiteRubix members can enjoy basic blogging lessons on how to build a good website with healthy SEO for free but of course, you’ll need to pay to join the higher levels which I’ll explain in the price plan as we go. 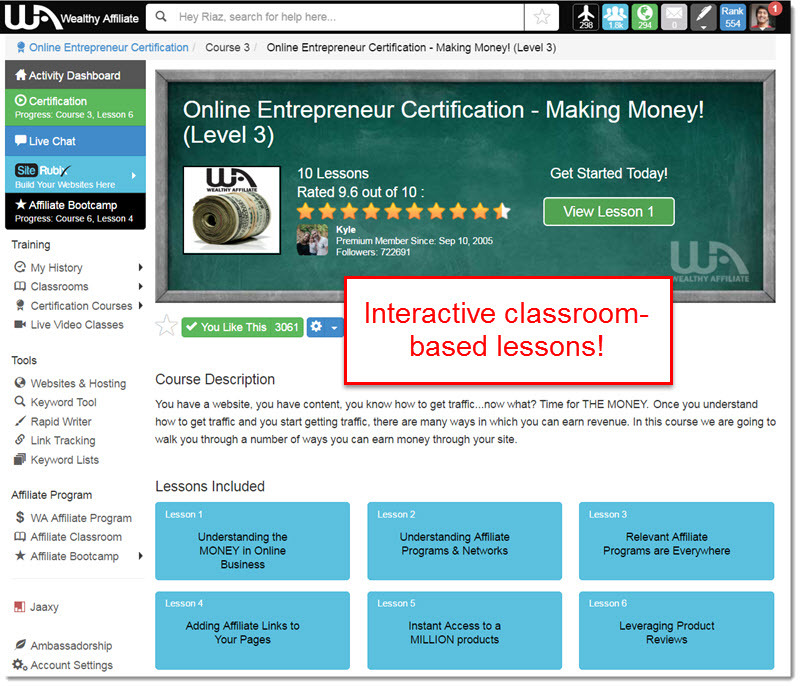 The lessons are straightforward, fun, and actionable as they will give you tasks for you to do on your website to make sure you succeed. Since Wealthy Affiliate teaches people how to blog, you can bet that there will be a lot of people just like you and me who are just as keen on building a site. There are newbies with the same new site like you who are just starting out, and there’s senior members like me who’s already been here for a little over a year or two and of course, you also have the pioneers – The band of merry people who were the first ones to build a blog here. To date, there are over 800,000 bloggers here already who have all build successful websites and they tend to share their stories and tips from time to time and you wouldn’t want to miss those moments. With that many people, there will bound to be a person or two who might have asked the same questions as you no matter how weird they are and believe me, I’ve seen weird ones. So if you’re impatient like me and want instant answers, you can just type it in the search bar and see all the same and similar questions by other members of the community who have asked them. Once you’ve built your website, you will be in a state of “Getting your bearings”. You won’t know what to do, you’ll be in an entirely different world and you’ll bound to have a lot of burnings questions about your site. It happened to me and to everyone else who’s just starting out. Just look at the number of questions I ask just on the screenshot above! The good part is that you won’t have to worry about is that SiteRubix has a very reliable support team which the owners Kyle and Carson themselves tend to drop by to help you with from time to time. Feature #6 – Over 2,400 themes! The way we create websites has changed over the years. Last time, creating a website would cost thousands just to get your design created but now, there are plenty of themes for you to choose from! Just be sure not to be trapped in an endless “Choosing marathon” where you keep comparing the best themes for hours because at the end of the day, content matters and designs won’t get you web visitors. As of 2017, Google makes it adamant that websites and blogs need to be mobile-responsive in order to get good and healthy rankings. 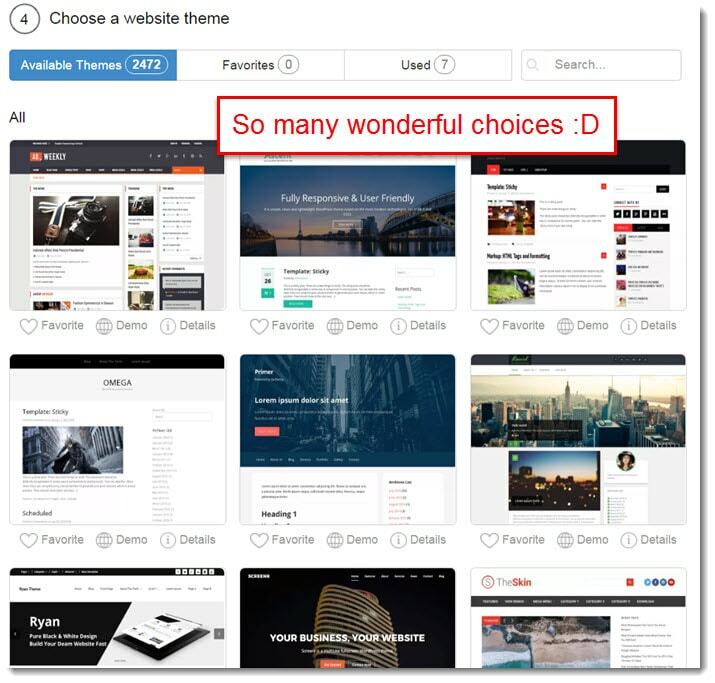 We have over 2,400 themes and believe it or not, those themes are built-in with mobile-responsive elements which make them adjust automatically without you needing to install anything! This is an amazing feature because outside, other people would pay hundreds for their theme to be fixed. Feature #8 – SSL certificate! See the “https” on my website address URL? It’s called the SSL certificate and It’s a very powerful feature used by many established websites like Facebook and Amazon as it protects the website from hackers, it enhances your brand, and it also indicates how serious you are about your website. But bear in mind though, that the SSL certificate feature is only available for independent domains and not the free ones because SiteRubix is already SSL certified. Wondering how your website is doing in all technical aspects? We got you covered. Many newbies have this feeling like there is always so many things to learn. I know I did when I first started online, and the feeling was overwhelming. SiteRubix makes it much easier for you to get know how your blog condition is – You can see how you are doing in terms of posting frequency, in terms of plugins, engagement, writing quality, site trust, and Google ranking. When you’re too busy building your site, believe me that you’ll forget about everything else because they’re just too many things to know about. But don’t worry, you’ll get used to it and at the end of the day, you’ll realize that it’s actually quite fun and worth the time. Especially when you get so many comments from people you don’t know about your site. 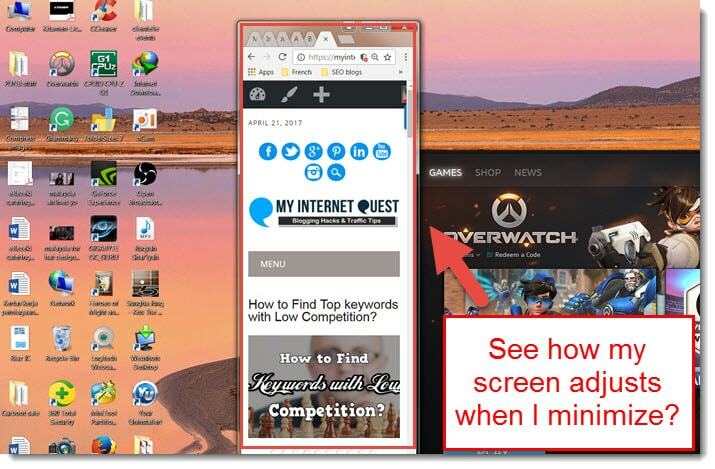 This is easily the most powerful feature that SiteRubix has and until now, I still use it on my blog. You see, getting comments on your site is not as easy as you thought it can be. In fact, there are many blogs who do not have comments at all, even after many months. You will get a comment or two, but that’s that and you won’t get any rush of comments after. It just dies off completely, which is why SiteComments is there to re-live it. 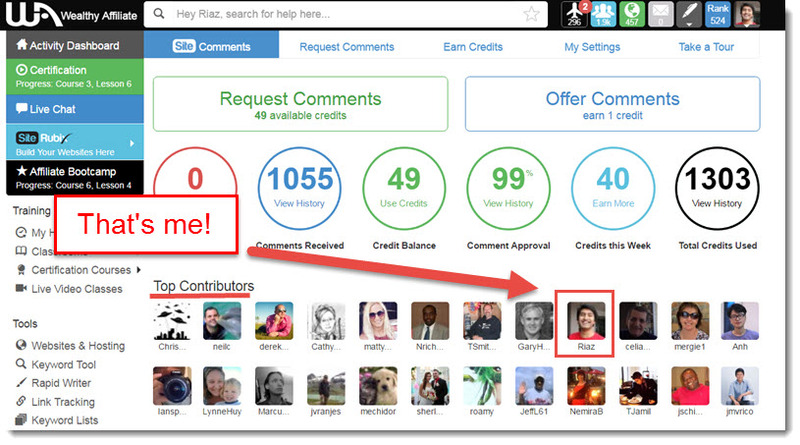 If you’ve been following my blog, have you noticed as to how many comments I usually get? And to top it off, all of my posts, even the short ones have comments and this is through SiteComments. SiteComments is a powerful give and take system whereby bloggers like you and me can get quality comments but the catch? Simply blog on their sites too and lucky for you, one of the top contributors is yours truly. 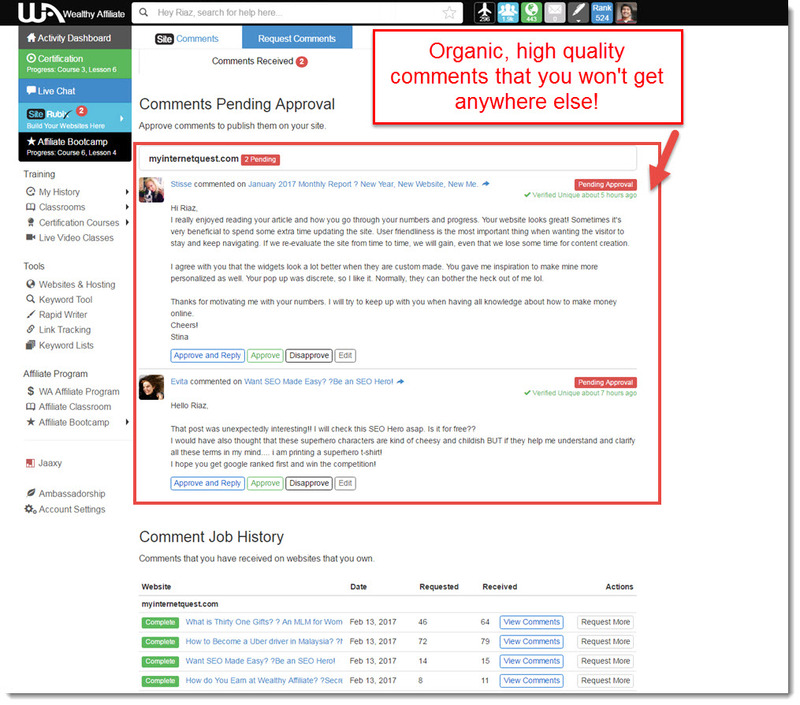 This ensures that the comments are of high quality and organic but most important of all, I love it because it’s a great way to connect with other bloggers and learn from them. You don’t have to get many comments, 3-4 would do because sometimes, people won’t comment if there are no conversations happening on your page. Excite the commenting, and things will flow naturally. Nowadays hackers are growing by the number and their skills are getting cleverer too. I got hacked out of my own bank and all my money disappeared, My Paypal also got hacked and many huge bloggers that I know of had their accounts hacked too and taken over by people envious of their success. One thing that is still intact though, is my website and although I have so many spam emails daily, I am fortunate that my site is still safe and this is because SiteRubix has one of the best site protection systems in the world. They are dedicated to safeguarding everything that they do regular backups for you and all your files on your website without you having to worry about it. Even passwords to log in to all your websites are guaranteed to be of super high strength and their internal system protects you from botnets and viruses as well. No matter how confident you are of your newly-created website, sometimes there are things that you never notice but others do. 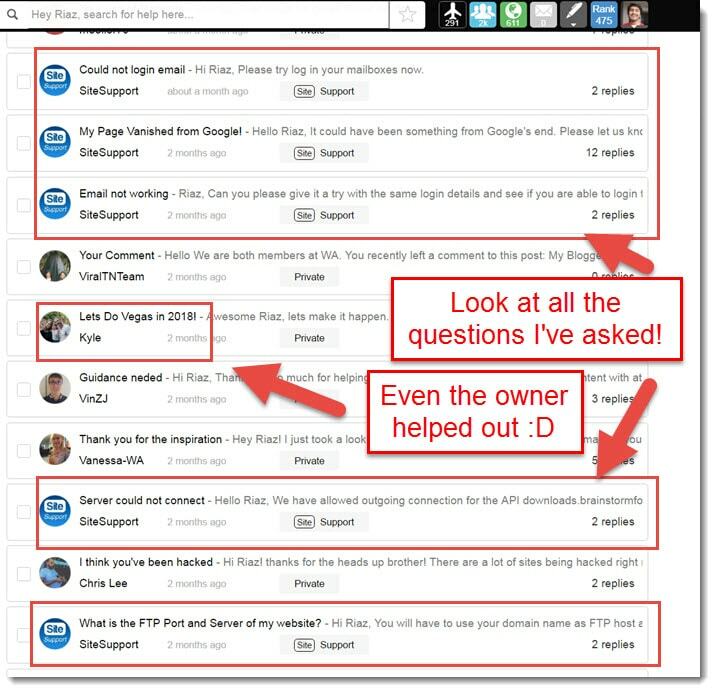 Introducing the SiteFeedback – A give and take system which you can get honest opinions on what people think of your overall website but in order to get those, you’ll need to give your overall answer on other people’s sites too. You’ll never know if your logo is too big, your ads are too annoying, or your colors too blinding. You’d be surprised how knowing and tweaking these little things on your site can dramatically increase your conversions. Even with a free website, you will eventually need to register an independent dot com domain when you’re ready to go far and build your own brand. After all, you wouldn’t want to see a Dot Siterubix extension on your domain, would you? Introducing SiteDomains! An easy way for you to register your domains within SiteRubix and as compared to other domain registrars, you are ensured the lowest price in the long run. Other domain providers will show you cheaper ranges but once you start paying them, you’ll start to notice how they quickly increase their price range through their upsells. At SiteDomains, we are upfront and give you everything on the spot because at the end of the day, we want to give you the best experience for you to create your content without worrying much on the technical part. Everything will be handled by SiteRubix and when you’re ready to upgrade your free website, you can move all your files and content to the new domain with a click of a button instead of doing it manually. I remember I actually had to do it manually when I first joined because this one-click button transfer feature wasn’t available yet. Transferring everything myself took almost a week! But with SIteRubix, transferring has never been easier and your hard work preserved in perfection. Wondering how to build a blog in 5 minutes or less? It’s time I show you how. Do you want to register a domain, do you already have one, or do you want to build a free website? Many would choose to build a free one since there’s no cost involved or even just for the sake of it. The URL is the website address for your blog. 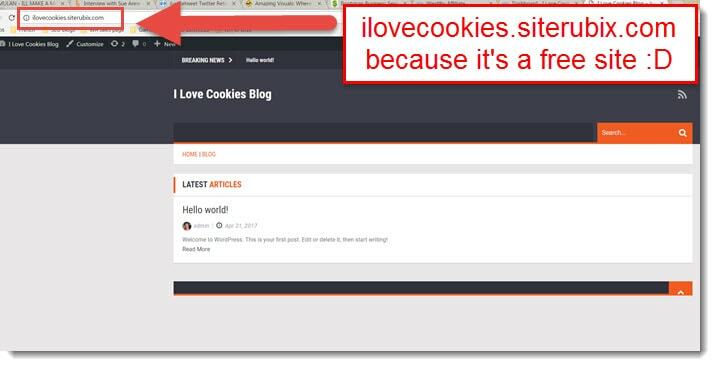 For example, mine is Myinternetquest.com but for the sake of this site, I’m gonna go with ilovecookies.siterubix.com to show you guys how easy it is to build one. 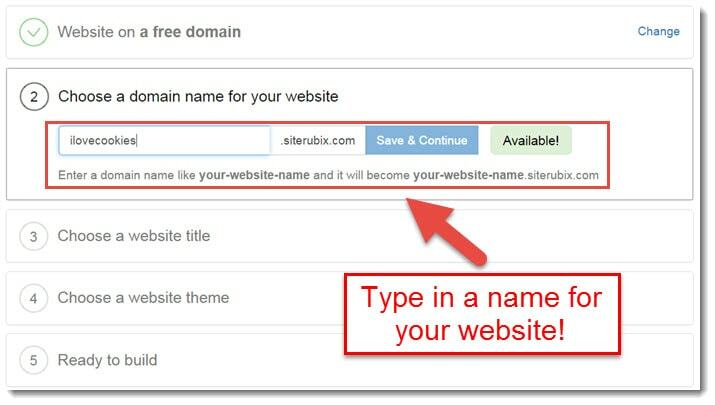 Please bear in mind that you cannot remove the dot siterubix at the end there because this is a free website and you’re utilizing SiteRubix’s subdomains. The same goes with other free website builders like Wix or Weebly, there is always their website names behind the subdomain – They are called subdomains for a reason. For independent domains on the other hand, like the one I’m using for myinternetquest.com, you need to buy those because the payment is regulated by the Internet Corporation for Assigned Names and Numbers (ICANN). If you’ve never heard of ICANN, it’s basically like the government of all things internet here and they regulate each and every website there is on the internet. You don’t have to worry about it though, you can buy domains from SiteRubix and everything is automated as they will handle everything for you. Step #3 – Give Your Blog a Name! This is very easy, most people just use their URL as their name too. For example – My URL is Myinternetquest.com and so as you might have guessed, I just name my blog My Internet Quest. Step #4 – Time to Choose a Theme! 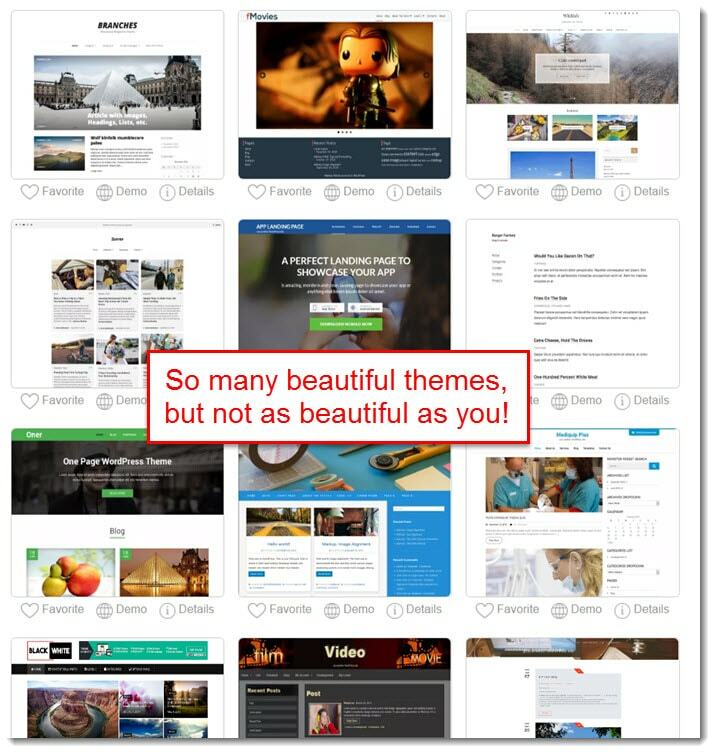 This is the best part of all – I love choosing themes as there are loads of them to choose from. I can spend hours testing each and every one of them and I bet you would too so you need to draw a line so that you won’t end up spending an entire day just choosing. Bear in mind that you can change it anytime so stick with one that you feel okay with because you won’t see a theme’s full potential anyway because your website is fresh and has nothing to show. You can favorite the themes that you like so you can go back anytime to check them out and there’s even a live demo for you to see how everything would fall into place. You can change themes as you blog, it’s pretty normal because I for one, changed like fifty times so far in the course of 2 years – I just have this urgency to try out a new theme when someone recommends it. If you’re curious to know, I’m using the free Newswire theme and I’m loving it. Step #5- Building Your Website! As you can see, you can do so with a click of a button and voilà! A brand new website just for you. Now as I mentioned earlier, it is an entirely new site so you won’t see the full potential unless you’ve posted something and write some content to give it a body. Don’t worry if there are many things to know of, you can just log in through SituRubix to access your site dashboard – Everything will be saved there and even the password created will be super strong to protect your site from hackers. Do SiteRubix Websites Rank? –Time for Case Studies! Lynn Huysamen founded Kaboutjie so that she can blog about motherhood. She’s in our community as well and her site’s doing well on search engines, so much so that she’s becoming quite popular with it. That hard work’s paying off Lynn, can’t say I don’t envy you. Keep up the good work! I love to drop by his site, there are just so many cool things about archery there like how to use crossbows, where to get them, and even some interesting lore about ancient weapons like the Japanese Yumi bow. We grew our blogs at just about the same time together but he surpassed me by a long shot and he’s even written a book published on Amazon. Amazing guy and expected, his site is ranking well too. 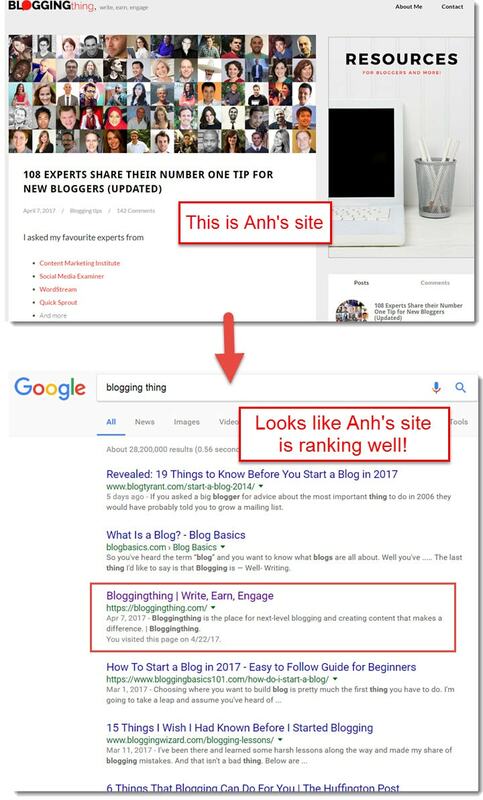 Anh has always been interested in blogging since he was but a young lad and after he found out how, he built a site called Blogging Thing where he shares his experiences on starting a blog, his tricks that he came across along the way, as well as tips to boost your own blog traffic. I got featured on one of his articles and sometimes, I feature him on my blog too. 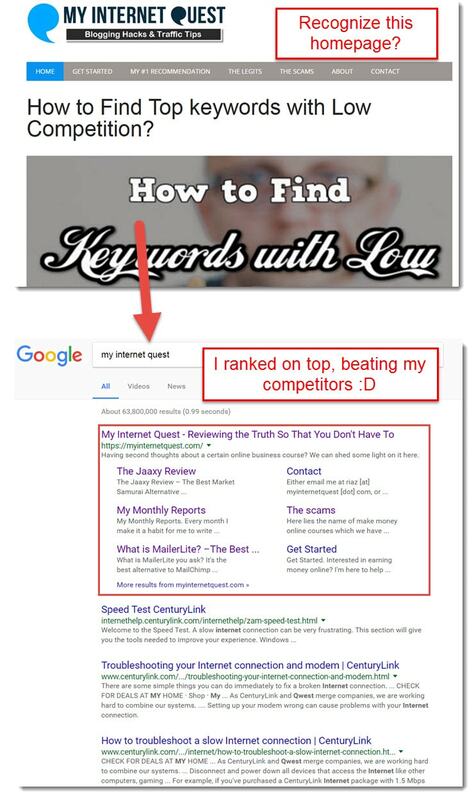 Amazing guy and full of potential but getting to the main point, I don’t think I need to tell you how well he’s ranking on Google now too. Kamira Event Management is my own local start up here in Malaysia. We have an office and a wonderful team so as you might have guessed, yes, I used SiteRubix to build this website. Although it’s not all bombastic with colorful bling lightings like most my competitors’ sites, it is ranking well and I even got a lot of calls and emails daily because of it. I haven’t gotten to the blogging part lately and my last blog post being in 2014 (I know I know, it’s not healthy), but this proves that you don’t have to build a brand new site just to blog, you can also use a site to boost an existing business. 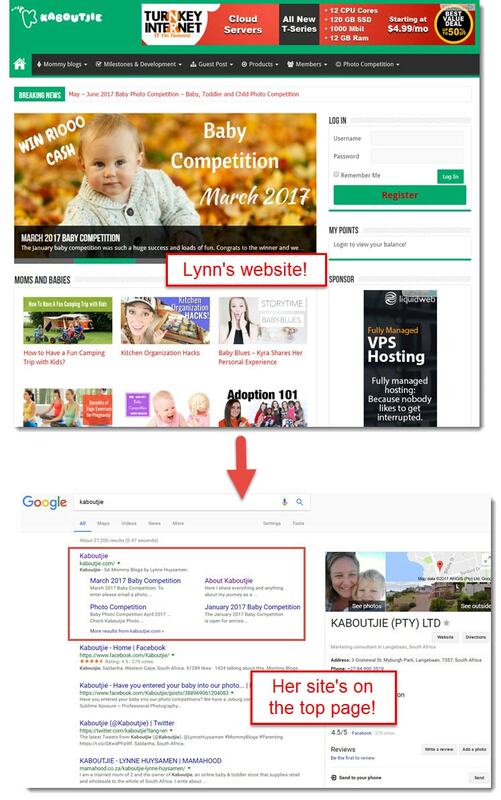 When I first started my site, I was very frustrated because I couldn’t find my site anywhere on Google, or just about any other search engines including Bing and Yahoo. I typed my blog name but it just never came out. 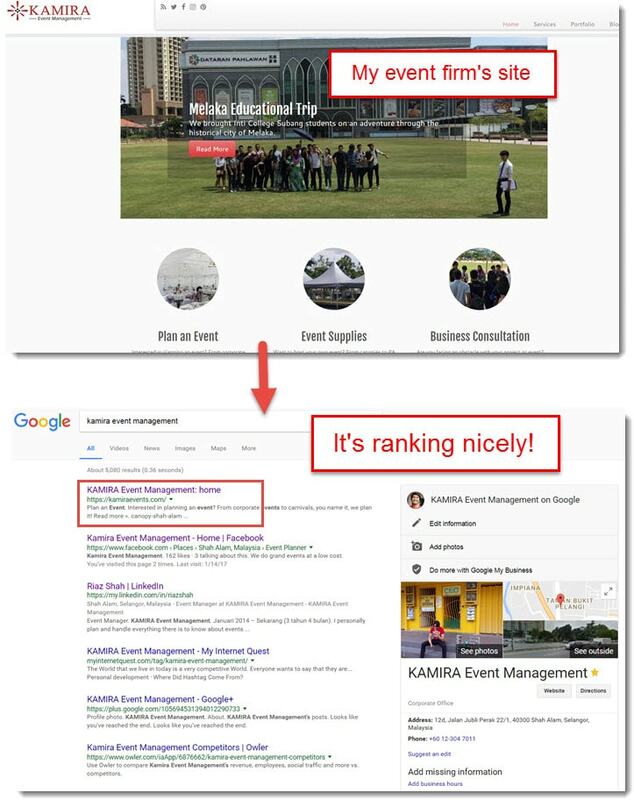 After a while though, it grew so much that I managed to beat my competitor and rise up the first on the Google search so I’m really happy that it works. So if you’re serious about blogging, SiteRubix is the best way for you to get started. SiteRubix vs Wix – What’s the Difference? I love SiteRubix and I love Wix. However, they have their own differences that make one choice better than the other depending on the situation. SiteRubix is in all ways better than Wix as they have more features that can boost their speed and SEO too. All except for one part – It doesn’t have a drag and drop feature. While this does not come as an important aspect for most bloggers, it is becoming an issue for some people who do not want to create blogs. Instead, they’d like to create an eCommerce site. Without the drag and drop feature, it can be quite hard to create an eCommerce site because you will have so many pictures that you would want to edit – Places to put, size of the picture thumbnails, as well as the size of your logo. SiteRubix on the other hand, doesn’t have all those – Instead, everything is automated, even the logo size and placings so that bloggers do not have to worry much about the technical aspect. They can focus more on blogging. Creating eCommerce sites may be nice but they would take so much of your time to setup and you have so many things to worry about too like your inventory stocks, delivery, and even promotion activities. Have you ever wondered as to why there are so many blogs out there but not many eCommerce that we know of? That is because most eCommerce sites are facing a dilemma of trying to juggle between operations and SEO so as you might have guessed, at the end of the day they focus on operations and leave very little time for writing content hence their bad SEO rankings. 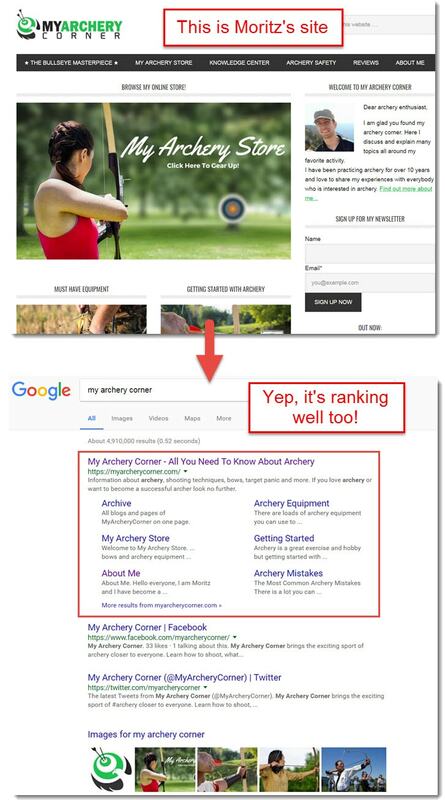 If you might have noticed, unless they are super huge eCommerce sites like Amazon, it is very hard to spot other growing eCommerce sites on Google as they are not ranking well. For those that do rank well though, you know now that it’s because they have a whole lot of money that they’ve spent to pay people to create content for them. So now that you know the differences, which one would you choose – Blogging or eCommerce? SiteRubix Pricing – What’s it Gonna Cost You? SiteRubix is a part of the Wealthy Affiliate University platform which is why everything is integrated so seamlessly. The starter account gives you access to two free websites but most of the time, you’ll end up using only one to test the water and when your site is stable enough, you can upgrade anytime. It’s a bit costly for the monthly but every member will get a huge discount on the first month and from there, my advice is to soak up the lessons as much as you can and before you know it, your blog can already pay for itself. 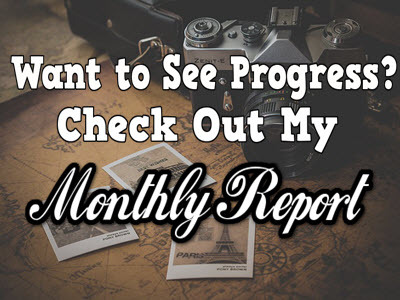 I learned how to monetize my free site from the lessons provided and once I was confident with my blog growth, I upgraded to the monthly and today, it pays for itself every month so you don’t have to worry much about it. There are a lot of other website builders to try out but when it comes to content creation and blogging, SiteRubix is definitely the best platform for you to get started. It works really smooth as they’ll give you high-speed dedicated hosting, support which is super reliable, and you’ll definitely be able to rank your site easy within Google like the other members. 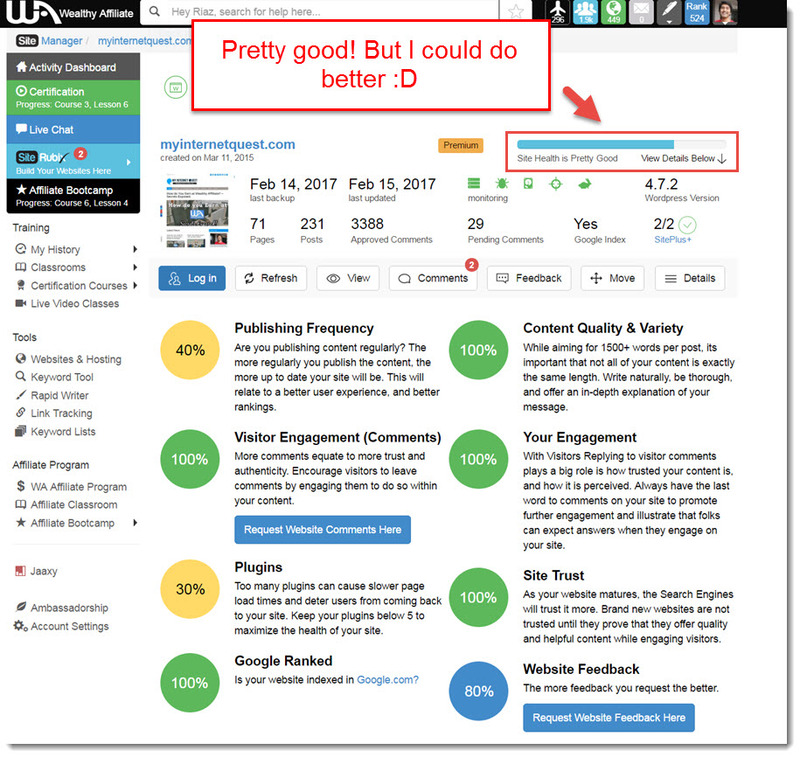 It’s legitimately the best website builder for bloggers, and it deserves a full 5 Star Rating. Phew! 4,500 words long! Thanks for reading guys, I really appreciate it. Got questions about site building? I’d love to hear them out below! True that bulowagg, free to start and you don’t need any prior knowledge to start a site. You can start one in just a few clicks! I never thought I could came across a few website builder like siterubix. Like many others I came to know siterubix through wealthy affiliate when I registered and started using the platform. To be frank, I was skeptical about the features of siterubix because I wasn’t sure a platform can offer so many features to users for as low as $49 a month. But siterubix settled my doubt and gave me even more than what I bargained for. Awesome to hear that Sammy! Wow ! This is a great exhaustive review and an all-encompassing one. Wealthy affiliate is 100% legit and scam free, one of the best when its comes to Making Money Online and setting up an Affiliate Marketing business. I also use SiteRubix for my blogging but I was really interested to learn a bit more about what the platform offered and to see if there were any features I haven’t been taking advantage of before time. SiteRubix is awesome, it’s how I started and it’s really amazing. I am a member of the wealthy affiliate community and I have to say that I have never been part of a Real Helpful and Caring group of people like this. At Wealth Affiliate, you can ask any question get answered within minutes, You can host all of your websites or blogs on the SiteRubix hosting platform that is super fast and secure. 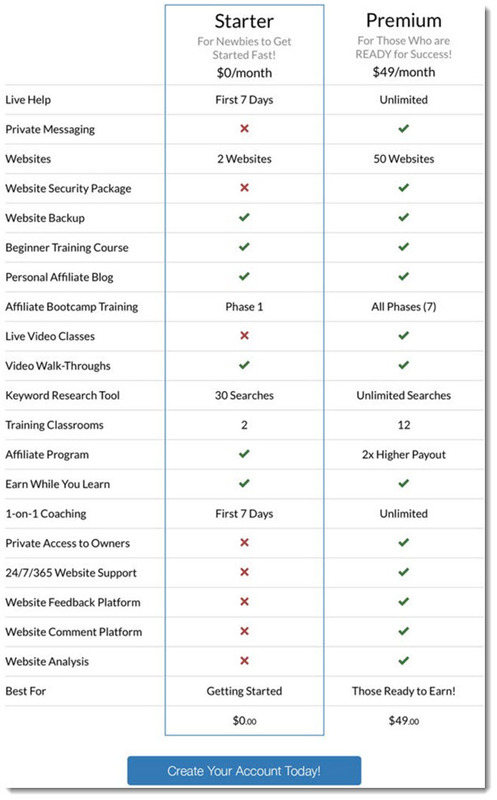 Simply the best Affiliate marketing and training platform around!! It really is, isn’t it? Awesome to know you think the same way Topazdude. Prior to registering for the Wealthy Affiliate program, I didn’t know what site rubix domain was. I do still think it’s a domain peculiar to the wealthy affiliate program. Your post has broken everything down into bits, now I understand fully. I have tried running a website with blogger in time past, and I failed woefully because, I didn’t quite know what to do. However, with site rubix, it took me less than 2 minutes to create my website. And I’m doing just fine. 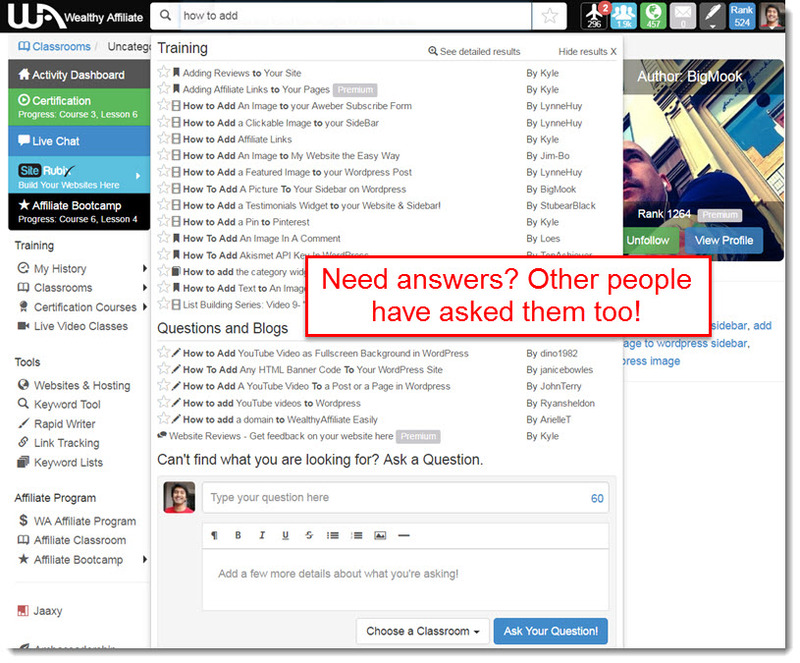 It also helps that I have a lot of people to ask questions on the Wealthy Affiliate community. I had exactly the same thinking Louis, and I also didn’t know that SiteRubix is part of a bigger Online Business course, no wonder it’s very simple to use and powerful. Once I found out and tried, I was sold at its features. This was an excellent and thorough review of the SiteRubix hosting platform that is a feature of the Wealthy Affiliate platform. 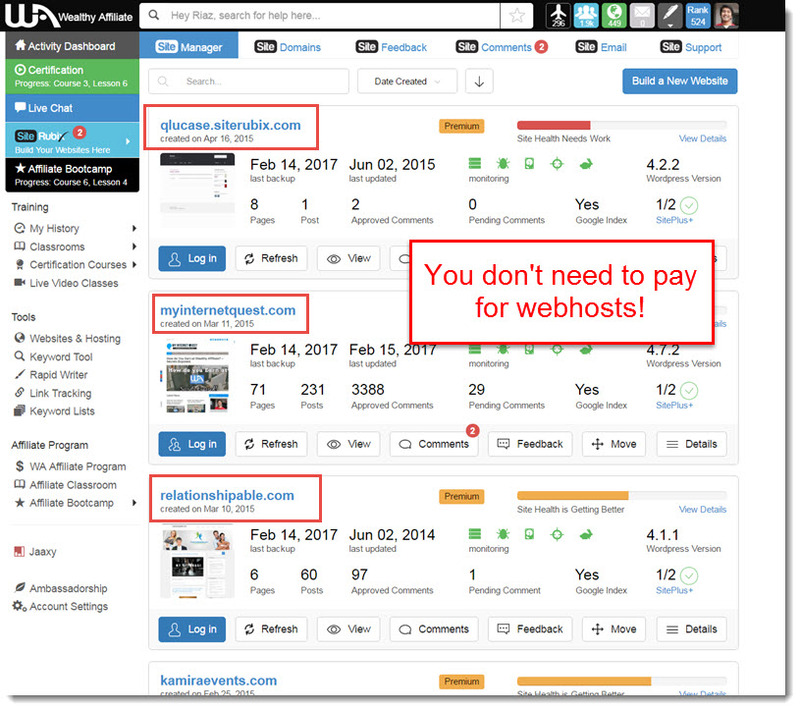 This often overlooked benefit for members is really a top quality hosting service that on other platforms would cost a lot more. From the secure hosting to the fast loading times and ability to use the 1000s of themes, plus the ease of setting up a website, this is one of the top hosting services I have found in over 4 years of online work. I personally have 12 websites hosted with them. I do have something to compare SiteRubix with as well. I use SiteGround, Hostgator, and BuilderAll to host e-stores, training sites, and sales pages. The one that is ahead of the others is SiteRubix. I definitely can testify that it is a platform worthy of using for any online business activity. Thanks for the good information! Hi Riaz, I have read the whole review about the best website builder Site Rubix for blogger. I already purchased this hosting for my new bogging site. Now I am a premium member of Wealthy Affiliate site and also Site Rubix platform. I love the analytic and ready made theme option there. I believe this will be very helpful for all beginners who want to learn and earn through bogging. Thanks for sharing. Dude, your articles are some of the best breakdowns on the internet man, I appreciate that someone like you is out there putting together some comprehensive reviews that are easy to understand. 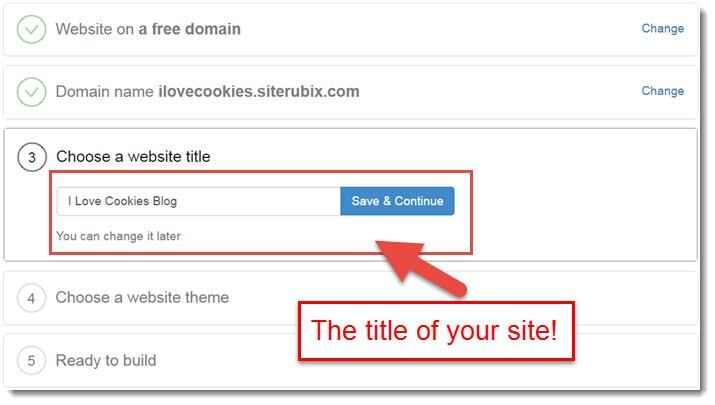 I love SiteRubix features and will be sure to share it with anyone when they ask for the best place to start blogging. That was an excellent and accurate review about SiteRubix. In my opinion it’s one of the fastest engine in the world at using to build website. It takes about 30seconds to use SiteRubix to build a website. For me that’s incredible. If you are willing to build a quicker and speedy website, then I will encourage you to join WA. WA gives you access to use the siteRubix and create as much website you want. For me that’s a good deal from WA. On top of that, WA does the hosting for you as well. It definitely is Kuu, thanks for the awesome sharing! Thanks for the great article, it was very well written and informative. 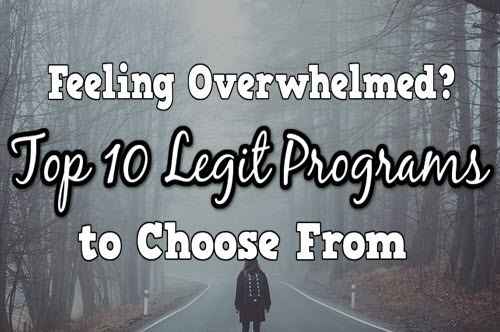 Personally I loved the Case Studies you have done, I have not seen this before, and I found it to be very informative as well as a very good way to show people that you can have success with this. Keep the articles coming, thanks again! Gotta agree, SiteRubix is a great platform and I’ve been using it for more than 3 years. Never had any real issues and the rare times something went wrong, Tech Support solved it a few minutes after I contacted them. Considering what you pay with others, the price is an absolute bargain. What I also love is that everything on the platform is super user-friendly (they’ve recently had a make-over which makes it even easier). Loving their recent makeover, Jurgen, everything’s so smooth and website loading speed got even faster with the SiteSpeed. I too use SiteRubix for my blogging but I was really interested to learn a bit more about what the platform offered and to see if there were any features I haven’t been taking advantage of. The big takeaway was the wealth of information and support for website building that can be found within the community at WA. I am definitely the type of person who tries to figure things out myself before turning to others for help so it was a really good reminder (and testimony) to see the value of the WA community and the site support offered here. I am relatively new to affiliate marketing and I can already see some areas in which I have wasted time figuring things out through trial and error when I could have easily got help from live chat, site support, or reaching out the WA community. All in all I agree that the SiteRubix platform has been an excellent tool for web building and supporting me through my early stages of the affiliate marketing process. Thanks for an awesome read! Thanks for the amazing feedback, Connor! Hey i really enjoyed your article, this was very informative. I do like siterubix but i do not use the free sub domain anymore. Once i went to premium i bought my own domains. It was very easy to create a website, i havent changed any menus or my backround in a good while because i dont want to screw anything up, but it is very easy to learn your way around the back office. It is very useful to be able to make your first website for free. Really good article and good use of pictures! Great to hear that Justin, many use free websites as a stepping stone to test the water. Once they’ve grown substantially, many bloggers move on and buy domains of their own. Great write about Siterubix. Didn’t know that you can own a website so easily and its totally free. Well do aware that you have to pay in case if you need a more customised domain. But to own a sub-domain from siterubix and get your website going is good enough for me. I like the fact that it has other features that helps one to establish their website and some packaged plugins too. That’s why it’s the best website builder platform there is mate, I’ve been using it for 3 years now and I love it! I have been using SiteRubix for my blog and couldn’t be happier. My favorite features are SiteHealth and SiteComments. SiteHealth lets me know when I need to step up my posting frequency and SiteComments is awesome for creating engagement on my posts. I also love how fast the technical support is. I’ve only had to contact support a couple of times and each time they’ve responded within minutes. Overall it is an excellent service with top-notch training, tools, and support. I love both SiteComments and SiteRubix too Eartha! And the rest of the other features as they help boost my blog steadily. Top notch support and service, thanks for the awesome feedback! Great post you have here as always! I’ve been using SiteRubix for over a year now and have had amazing experiences with them since. SiteRubix and WA is certainely a great package for anyone interested in making money online and building your own online business. Great Review, I feel like SiteRubix is the best as well. It is the easiest way to make a website, I have had some experiencing with coding and it is not easy. SiteRubix is an awesome way to get started with your website. Once you’ve started creating content the result are amazing, I love the whole process of making a website. I highly recommend it for those who also enjoy creating websites. 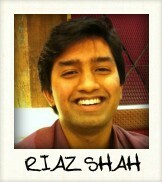 Thanks for the review Riaz, it was very insightful. Glad you liked the review Emonne, I find the website creation process fun too! So many theme to choose from and you can literally spend hours working on building your site. Appreciate the feedback, enjoy your weekend! WOW… What a detailed review, that is one of the most comprehensive reviews I have read. I kept coming up with questions to ask you, and presto a little further down the page (like you had read my mind) there was the answer. I particularly found the real life case study of interest. To be able to see how SiteRubix can help me build a successful online business was very informative. One question I do have, you stated that SiteRubix will provide me with 2 free websites, is there a time limit that I have these sites before they start charging me? Nope there are no time limits whatsoever, it’s free for life. You’re welcome on the review part, I too was looking for information but it wasn’t there so I decided to answer them all by writing a review myself. Enjoy your weekend man, thanks for dropping by! 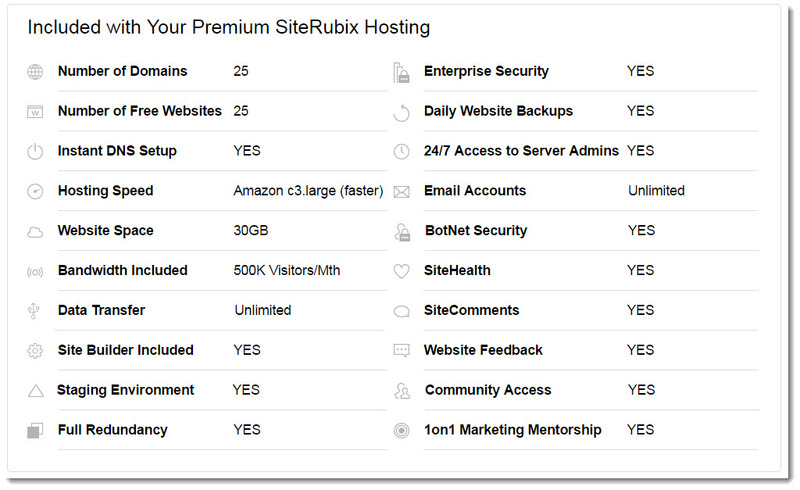 Siterubix is defiantly a great website builder… One of the best in business! As you mentioned, (Wix, among many others) there are a lot of these free website builders on the market, and it can be difficult to distinguish between the good and bad ones! What makes Siterubix really stand out is the community behind it and the ease of use! Push 1 button and you have your very own website in a matter of seconds… Gone are the days where complicated coding skills were required to get up and running on the world wide web. Right on Rene! It’s much easier to build a fully functioning website today compared to a few years back. Appreciate the kind feedback, cheers! SiteRubix is awesome, it’s how I started. I took advantage of their 7 day offer, which as I remember included premium training and two free sites, in fact everything that premium offers. I was so impressed I decided to join their premium within 4 days of starting SiteRubix, that was nearly 4 years ago. It’s much cheaper to join on their yearly membership, you save loads of money compared to paying monthly. Monthly is a fab way if you can’t afford to pay a lump sum all in go. 4 Years? Has it been that long, Sharon? How time pass when you’re dedicated and having fun. Appreciate you sharing your feedback, much appreciated. Hope you have a good day!